Make the most of your room with Elite Vertical Blinds – It’s where we got our start more than 50 years ago, and we think Vertical Blinds still offer a timeless collection that has been welcomed into Canadians’ home for decades. 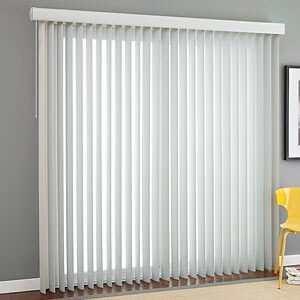 Vertical Blinds offer a great combination of convenience and versatility. In terms of convenience, they are easy to clean and maintain and can be used in virtually any room in your home – bedroom, office, living room or dining area. Since the louvers are vertical, they aren’t prone to dust or dirt particles and they can be easily wiped down for cleaning. 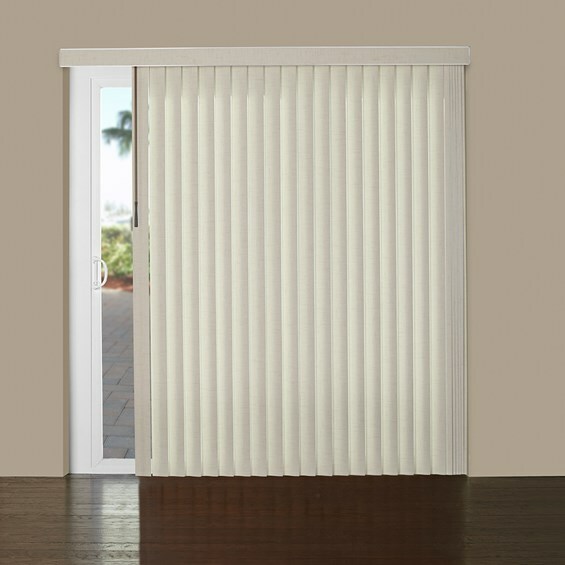 All of our vertical blinds are available with our Deluxe Valance that tops off the window treatment. The Deluxe Valance features a matching fabric or PVC insert for a complete professional look. 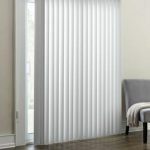 They are a great option to cover large windows or patio doors because they are both durable and cost-effective; it’s no wonder vertical blinds are seen in so many homes! 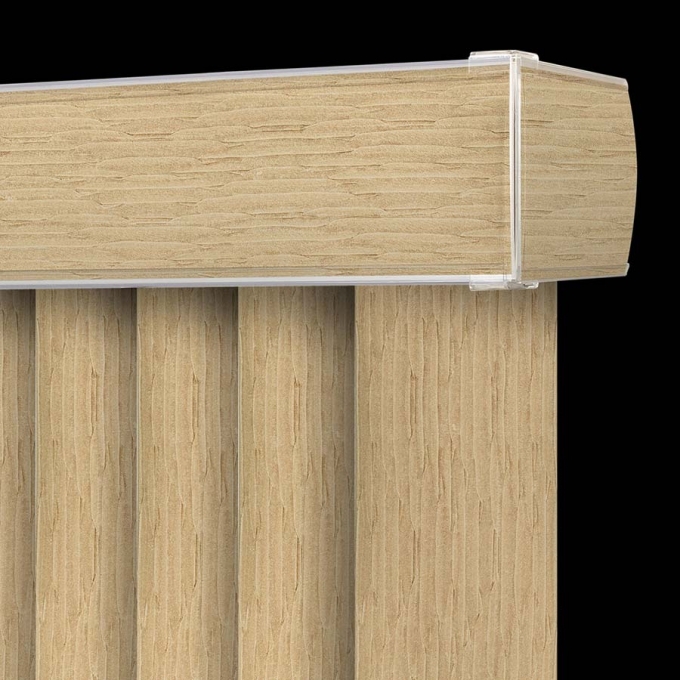 Our high-quality rail system keeps the louvers exactly aligned for a precise look. 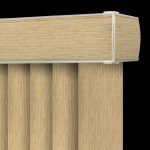 Louvers traverse smoothly along the rail for a quiet transition between open and closed positions. Vertical Blinds are also highly customizable, coming in a variety of PVC or fabric colours and styles that are sure to enhance the design of your space. While white PVC blinds are the most typical style and colour of vertical blinds, be sure to check out the fabric colours and options that are carried at Elite. We offer different options to suit different price points and can add to the ambiance of your space with a complimentary style of vertical blind. The 180-degree rotation allows for a highly customized light filtering. 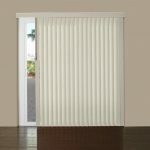 When the blinds are drawn across your windows, the louvers can be closed, stacking flat against one another to block out light and create complete privacy. They can also be adjusted at a variety of angles to create the optimal amount of both light filtering and privacy in the room. This can protect your home and furnishings from harmful UV rays and can also help to regulate the temperature of the space by filtering out the heat from the sun. This will have a positive impact on your home energy bills in the summer by lessening the need for air conditioning. Keeping the blinds closed during the winter months can also help to prevent heat loss and decrease the amount of heat required. 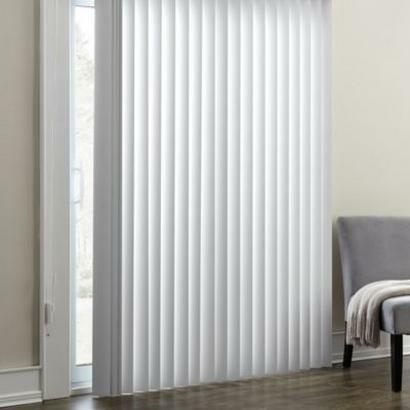 Alternatively, if you want an unobstructed view of the outdoors, Elite Vertical Blinds can be drawn open with left right, or split stacking options. Our collection combines easy maintenance, excellent light control, and classic beauty. We offer 3 1/2″ vertical louvers made from a wide selection of PVC or fabric for a perfectly customized look. 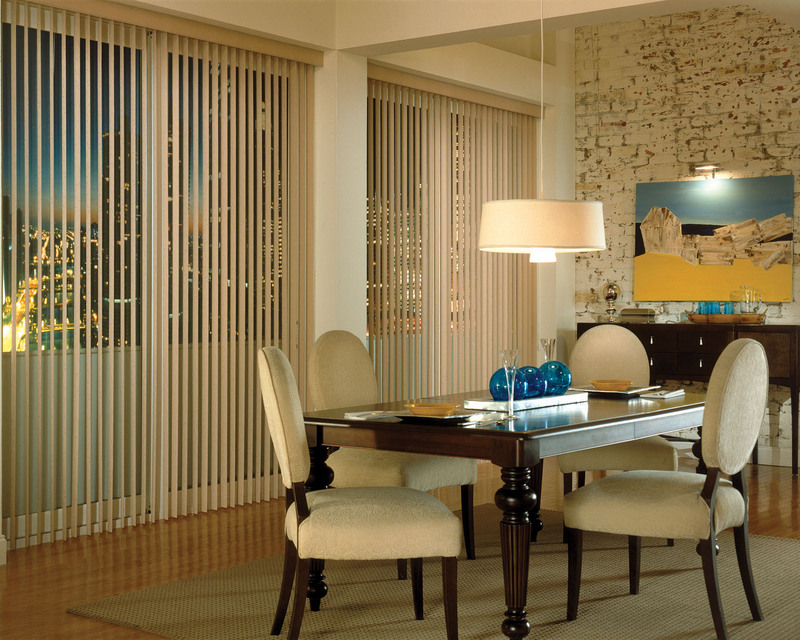 Interested in Elite Vertical Blinds™? Find a dealer near you or contact us for more information.